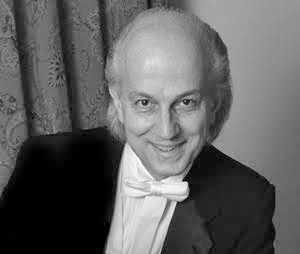 Richard Chiarappa is the founding music director of the West Hartford Symphony Orchestra and formerly the music director of the Bristol Symphony Orchestra from 1991-2002. Mr. Chiarappa is also the resident conductor of the Scholar-Athlete-Artist Games Orchestra, located in Kingston, RI, on the University of Rhode Island campus. Mr. Chiarappa studied orchestral conducting with Vytautus Marijosius, choral conducting with Gerald Mack and composition with Arnold Franchetti at The Hartt School. In addition, Mr. Chiarappa has done advanced study in conducting workshops under the guidance of Maestros Gustav Meier and Raymond Harvey. Chiarappa's most recent work is a new one-act opera titled The Miraculous Staircase. It received its premiere on May 4th, 2013 by Western Connecticut State University, under the direction of Margaret Astrup, and had its second performance at St. John's Luteran Church on November 10th, 2013. It is recorded and for sale on CD Baby, iTunes and Amazon.com. It can be rented at ScoreStreet.com A previous work that is played annually at a Children's Concert in West Hartford, CT, is titled "Uncle Sal's Cello" for orchestra and narrator. The piece is dedicated to Salvatore Silipigni, former cellist with the Pittsburgh Symphony Orchestra. Before that was the Gettysburg Address for orchestra and narrator, dedicated to the composer's father. That is now also available for Concert Band and Narrator. "Noah's National Language" for orchestra, chorus, narrator and actor, was commissioned by the Noah Webster House Museum of West Hartford, CT and received its premiere in October of 2008 in celebration of Noah Webster's 250th birthday. Two of his works were premiered in the 2007 and 2008 seasons, both being novelty pieces. One is titled "Romp for Symphony Orchestra and (Celebrity) Triangulist," handled for rent by Robert Wendel Music of New York City. "Romp" is now arranged for concert band and string orchestra. The second is "Boom! Waltz for Symphony Orchestra and (Celebrity) Bass Drummer." The latter is an adaptation of a piece from his musical, "Lincoln & Booth." In 2002 Chiarappa wrote an arrangement in four distinct musical styles for orchestra titled "Happy, Happy Birthday" that was specially written for the "birth" of the WHSO, from which he has recently extracted "A Broadway Birthday." All are available for purchase or rental and have been premiered by the West Hartford Symphony Orchestra. During the summer of 2000, Chiarappa was commissioned by the Institute for International Sport to compose the theme music for the Scholar-Athlete Games. The piece, "Paean to The Scholar, The Athlete and The Artist," received its premiere at the 2001 Summer Games, and has been performed by the Bristol Symphony Orchestra with the Plainville Choral Society as a tribute to the heroes of the September 11th, 2001 tragedy, and by the West Hartford Symphony with the vocal group UnCommon Time in 2004 at its "Tribute to 1st Responders" concert. In 2001 Mr. Chiarappa founded the Internet business, NewMusicals.com, intended to promote new works in musical theatre internationally. His present work for musical theatre, "Brandenburgh," a musical farce based on a Mark Twain short story, was named a semi-finalist in the 2001 McLaren Comedy Play Writing Competition in Texas. In 1997 a CD and professional VHS were made of "Lincoln & Booth." Other works in musical theatre as composer include a collaboration with playwright, Terry Ortwein, on the cult musical farce, "The Best Kept Secret of World War II," and a musical geared for high schools titled "Hoop," co-written with his wife, Martha, now published by Eldridge Plays and Musicals in Tallahassee, FL. Mr. Chiarappa has been a faculty member of Kingswood Oxford School in West Hartford, since 1979, where he is Director of the String Orchestra and the Kingswood Oxford Jazz Ensemble, and has conducted over twenty-five musicals. He has also been musical director/pianist of the Madison Beach Club's annual "Follies" since 1981. Mr. Chiarappa is a member of ASCAP and the Dramatists Guild, MENC, and CMEA, as well as the League of American Orchestras and Conductors Guild. He resides with his wife in West Hartford. They have two grown daughters.